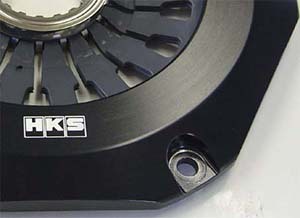 The tuning expert HKS provides the clutch system for streets and sports use. Capable torque, pedal effort, and semi-engagement range are closely examined for various driving situations. Despite the support of approximately 700ps, the main concept for the Twin Plate LA Clutch remains the same. Using “MG Composite Discs” to reduce judder and achieve better driving feel compare to stock clutch. Disc dampers are used to reduce gear noise and protect the transmission from shock torque. 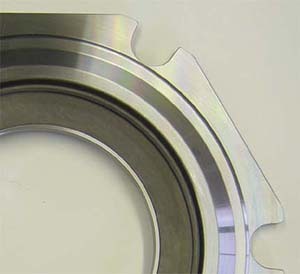 The LA Twin also has a “Pivot Ring” within the pressure plate to offer partial engagement like no other twin plate clutch. Normally, high capacity clutches come heavy pedal feel. HKS has insisted on a diaphragm spring design and used its properties to achieve a pedal which is easy to use on the street but also has a positive feel for accurate control even on the circuit. Cover is made from high strength forged aluminum. A newly designed 8.5 inch disc is used to support high torque levels. Adding a damper reduces gear noise and protects the power train from sudden shocks and damage. A stable frictional coefficient makes the clutch easier to use for reducing judder. 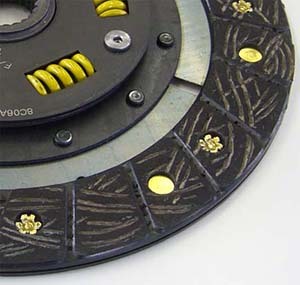 Lifting plates attached to the center plate ensures that the clutch disc remains center when disengaged. 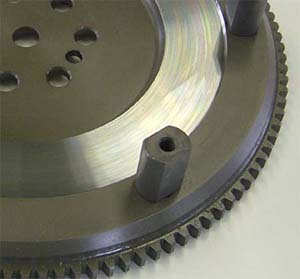 This extends clutch disc life and reduces the noise that is heard on multi plate clutches. An ideal flywheel weight for each vehicle was calculated and tested in order to reduce the weight for improving response but not to make it too light that the vehicle becomes uncomfortable to drive. The overall weight of the kit is lighter than the stock clutch. “Allowable Range” is the range of engine torque which is allowable unless the clutch is overheated by intentional clutch semi-engagement. “Conditional Allowable Range” is the range slippage may occur due to rough handling, kickback from tires, components’ distortion. Range beyond Allowable Range” is the range that slippage occurs when a clutch is being engaged under high RPM. “Mechanical Limit” is the point that slippage occurs while accelerating.